Home Brands Events Sports Heineken® Brings the UEFA Champions League Final to Soweto! 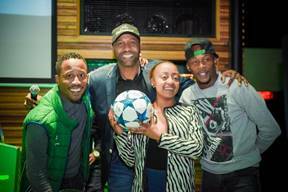 Heineken® Brings the UEFA Champions League Final to Soweto! Heineken®, has long been associated with the world’s most prestigious club football competition, the UEFA Champions League (UCL) and will be bringing the UCL final to Soweto by staging an exciting live screening of the competition at Nasrec, near South Africa’s home of football, Soccer City on Saturday, June, 3rd. “Heineken® is an international premium brand and UCL is a premium soccer league, which is why for the first time ever we want to give South African soccer fans a premium viewing experience they will never forget in SOWETO. 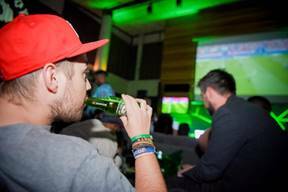 We are taking our legendary ‘Champion the Match’ campaign to the next level across the globe and we want locals who are in love with the beautiful game to be an important part of this,” says Heineken® South Africa, marketing manager, Themba Ratsibe. As Europe’s best football teams fight it out on the pitch for glory, attendees at the screening will be enjoying a match-night experience of a lifetime. Thomas Mlambo, Kamza and local soccer legend, Lucas Radebe will host the event while AKA, pro, Ms Cosmo and other great acts will be entertaining the fans. To find out more and to score tickets to this exciting experience, join the conversation on Twitter (@Heineken_SA) #ChampionTheMatch or on the Heineken® Facebook page.